As the healthcare environment resumes to improve, this means patients will continue to receive better care over time. Because of this, global average life expectancy rates are rising. Facilities need to make moves to help relieve providers of the strain that comes with treating more patients. Did you know that chronic disease is responsible for 70 percent of deaths every year in the U.S. alone? Patients have historically only had the option to visit doctors by in-person appointments, but many of today's chronic illnesses are avoidable or treatable by doctors using video appointments to "check in" and monitor patient's remotely. Unfortunately, the number of skilled healthcare professionals in the U.S. is on the rapid decline. By 2030, the healthcare industry is estimated to lack between 40,800 and 104,900 physicians. This will make it more difficult to acquire doctors in locations that need it the most, such as rural areas, because said physicians can't dedicate the time or money to traveling far distances. It's no surprise that the cost of care is tremendous and still on the rise. The Centers for Medicare and Medicaid Services predict that healthcare expenditures in the U.S. will increase by 5.6 percent between 2016 and 2025. Costs can be the result of going to scheduled care visits, making trips to the ER or even skipping follow-up appointments. Thankfully, there's a way to resolve all of these trending issues: telemedicine. Telehealth solutions are advancing the way mainstream care is delivered, helping health care practitioners learn how to positively respond to such changing conditions and continue providing service in a safe and convenient way. 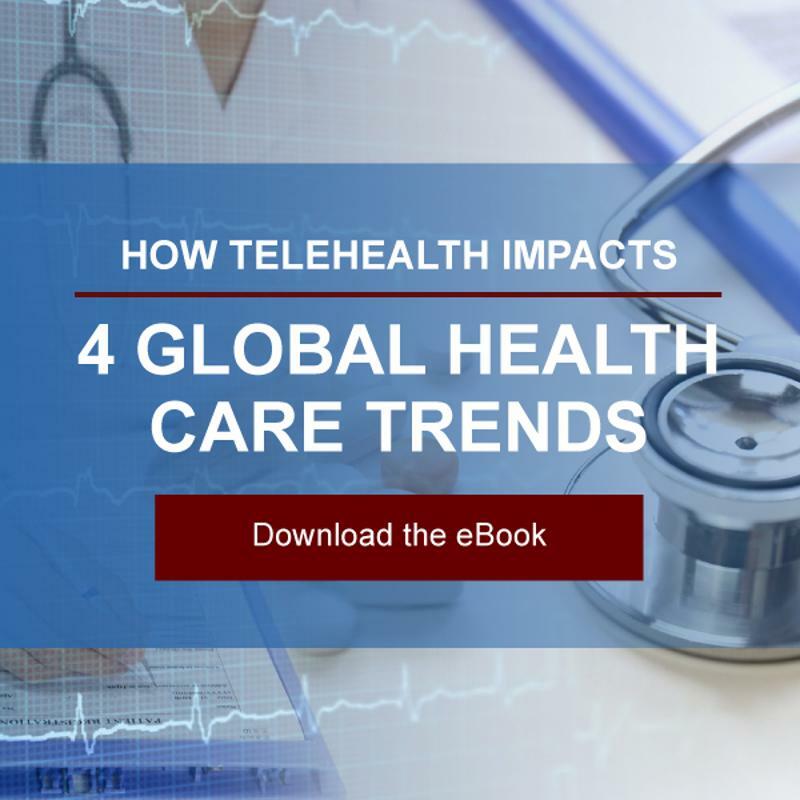 Read our latest eBook, 4 Global Healthcare Trends that are Impacting Telemedicine to find out how telemedicine will impact the future of the healthcare industry.